Choose a simpler way to pay. Your PayPal account is like a digital wallet, but more secure than your back pocket or your handbag. It has all the ways to pay in one place: your cards, bank account and your PayPal account. All you need to use it is your login and password. Buy online without typing in all the numbers, and whoever you're buying from doesn't get your financial details. Enjoy an entire world of online shopping with a quicker, safer and much easier way to pay. You can link your bank account or credit cards to your PayPal account. Just add your bank and card details to your PayPal account and then choose how you want to pay during the checkout process. If you want to pay using your credit card, you still earn your usual reward points so you don’t miss out on anything. You can also add money to your PayPal account and pay using that balance if you want to, but you never have to worry about keeping money in your PayPal account. Using PayPal is simple. Shop for the things you love, send money to friends and family, and receive payments for items you sell online. Whichever device you’re using - mobile, tablet or computer - you can pay in just a few clicks. All you enter is your email address and a secure password. It’s quick and it’s easy. It’s widely available too. 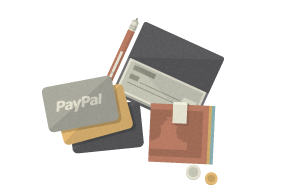 You can use PayPal at millions of online stores worldwide, from the biggest retailers to the smallest specialist websites - just look for the PayPal button when you check out. 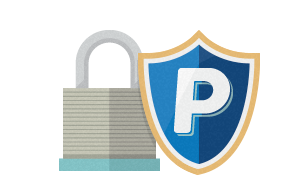 PayPal provides an extra layer of security for your payments by keeping your details private. The people you’re buying from never see your financial information, your card numbers and bank account details are never shared. You'll never have to enter your details in public which is reassuring. We use the industry’s leading data encryption technologies and our dedicated team of anti-fraud experts works around-the-clock to monitor transactions. 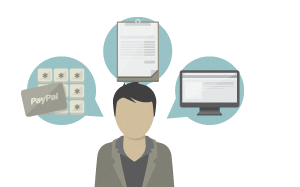 All this and your purchases are protected with our Buyer Protection policy too.